2008 Introduced first of medical tablet PC with Intel. 2007 Introduced first mobile thin client. Introduced its semi-rugged notebook product line: Durabook. 2000 Introduced first military grade notebook computer. 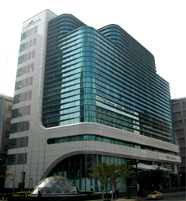 1997 Enlisted on Taiwan Stock Exchange Corporation. 1989 European Branch was set up. 1987 US Branch in the United States was set up. 1984 Twinhead International Corporation founded in February.